When police searched the home of a 22-year-old man they found cannabis in the bathroom and the kitchen. a court has been told. 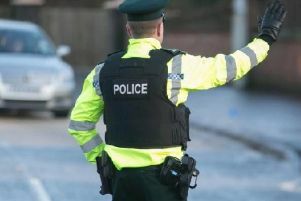 Daniel Tiernan Sheridan, Dingwell Park, Lurgan, was fined £250 last Friday at Craigavon Magistrates Court for unlawful possession of a class B drug. The court heard that on September 26 last year, a search was carried out under warrant of the defendant’s home in Lurgan. Suspected cannabis resin was found in the bathroom and kitchen areas, the court was told. Sheridan’s solicitor said the defendant accepted his guilt when questioned by police. The cannabis was for his personal use, he said. He added that the defendant had a limited record and no relevant offences.